Three prizes of $2,000 each and publication in Crazyhorse are given annually for a poem, a short story, and an essay. Vijay Seshadri will judge in poetry, Kelly Link will judge in fiction, and Jo Ann Beard will judge in nonfiction. Using the online submission system, submit up to three poems or a story or essay of up to 25 pages with a $20 entry fee, which includes a subscription to Crazyhorse, during the month of January. All entries are considered for publication. Visit the website for complete guidelines. Eligibility: Current high school JUNIORS are eligible to be nominated by their school’s English department. 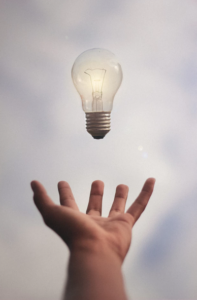 Nominations should be based on whether the writer exhibits power to inform and move an audience through control of a wide range of the English language. Entries are only accepted from teachers (i.e. the Head of the English Department). Purpose: To encourage high school students in their writing and to publicly recognize some of the best student writers. Best Writing – one sample which you consider your best work. The best writing may be in any genre or combination of genres (poetry, narrative, argument, expository). 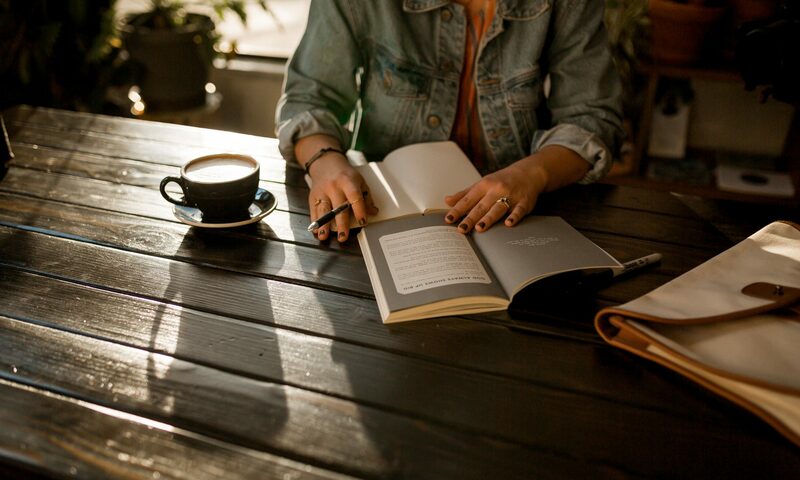 An excerpt from a larger piece of writing is acceptable with a paragraph explaining the piece from which the excerpt was taken. Maximum length for the best writing is six (6) pages. Your name and “Best” must appear in the upper left-hand corner of each page. Themed Writing – must be written based on this year’s theme: “Changing the narrative.” See details here. Maximum length for the themed writing is four (4) pages. Your name and “Themed” must appear in the upper left-hand corner of each page. 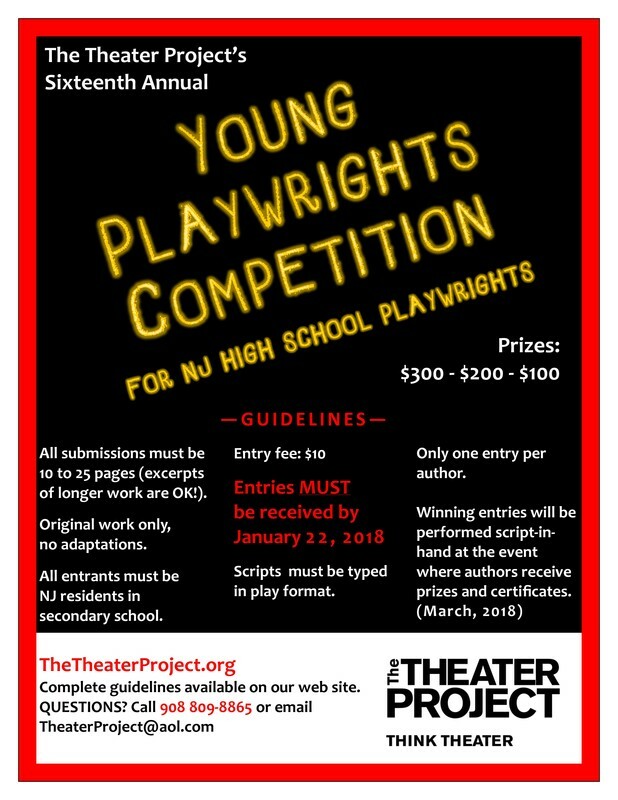 WHAT: The Writers Theatre of New Jersey invites NJ middle and high school students in grades 4-12 to submit plays to the NJ Young Playwrights Contest and Festival. LENGTH: Plays up to 20 pages or 20 minutes. TYPE: Plays with “realistic” structures and inventive work. Judges look for strong plot, characterization, dialogue, conflict, theme, & originality. THEMES: Plays may be on any topic, but there is a special category, “Living with Disabilities” designed for plays either written by an author with a disability, or a play with themes or characters dealing with disabilities. FORMATTING: Instructions may be found under the Submissions Guidelines tab. Staged reading production of play with actors, a director, and dramaturg from WTNJ. New Jersey Governor’s Award in Arts Education (10-12 grades only). A Kansas nonprofit established in 1980, the Writing Conference Inc. hosts an annual national writing contest for middle and high school students. Submit: Each student may submit ONE entry: a poem, personal essay or narration (short story or play). Theme: “Competition.” We are trained for competition from the grade school playgrounds to the Olympic fields, from the classroom to the boardroom. What values from competition are we learning and teaching our children? How do our practices of competition influence the academic, moral, philosophical, and political frame works of our society? Formatting: Entry form required. Read guidelines carefully. Prize: Award winning pieces will be published in The Writers’ Slate whose audience is comprised of students and teachers at the elementary, middle, and secondary levels. Submissions should be appropriate for this audience. Past Winners: Read 2016-2017 winners here.